To serve, hold pouch at top edges with both hands and shake gently. Then, tear pouch open and squeeze the sides to widen the opening. 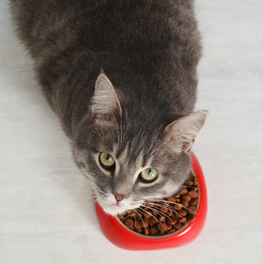 Pour the treat into your cat`s dish and watch it disappear! Chicken & Tuna 1.4 oz. Tuna & Shrimp 1.4 oz. Tuna & Whitefish 1.4 oz. 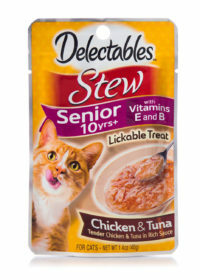 Senior 10+, Chicken & Tuna 1.4 oz. Senior 15+, Chicken & Tuna 1.4 oz. Chicken & Tuna 5 pack 1.4 oz. 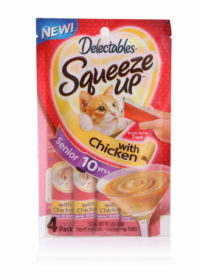 Variety Pack - Senior 10+ 12 pack 1.4 oz. Chicken & Veggies 1.4 oz. 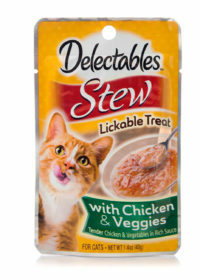 Searching for a treat your favorite feline can’t resist? Look no further. Delectables is the first gourmet lickable treat to combine tender, real chicken and succulent, plump fish in three purr worthy textures: bisque (smooth), stew (hearty) and chowder (creamy). 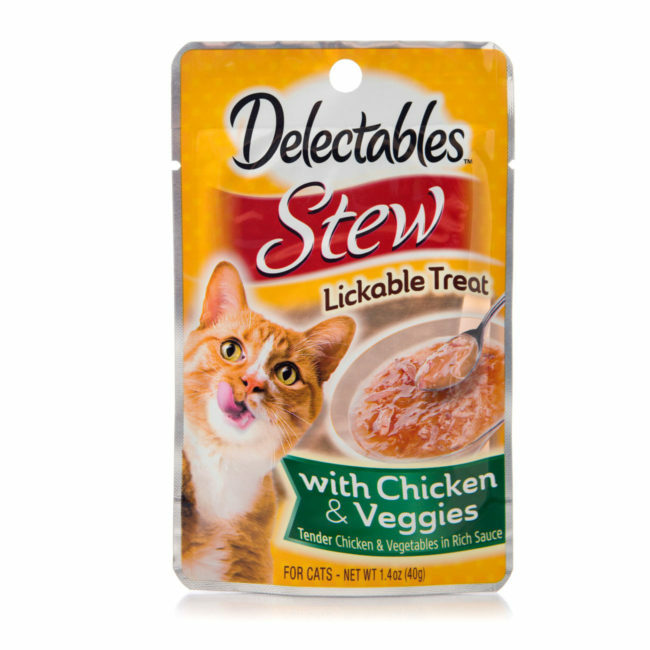 Each recipe boasts nutritious and flavorful ingredients delectably blended for easy-to-lap eating with items for kitten, adult, and senior life stages. The unique consistency, combined with our superior palatability technology, makes Delectables Lickable Treats so delicious cats lick the bowl clean! 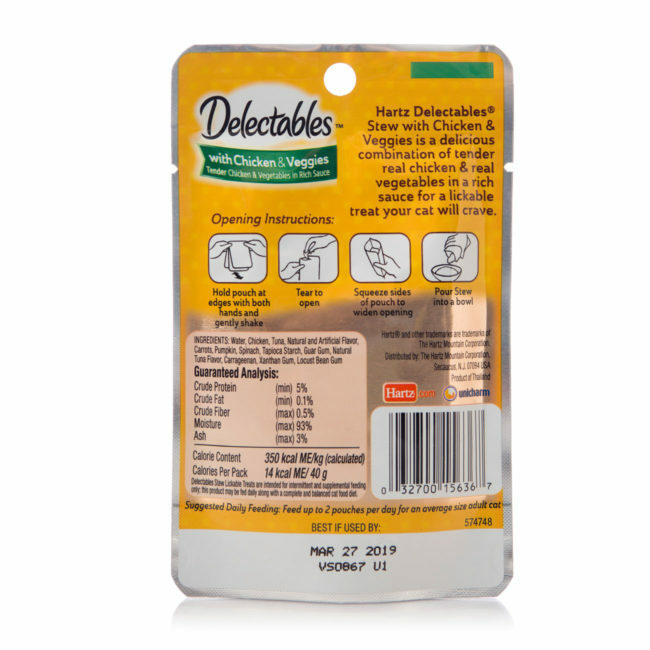 The purrfectly sized 1.4 ounce pouch is easy to open and pour for a quick snack or food topper to entice finicky eaters. . 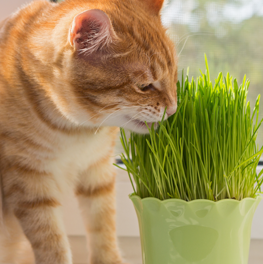 If you are a cat owner, you and your feline friend are most likely familiar with catnip. 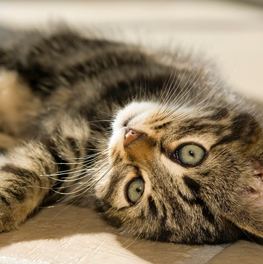 When was the last time you could honestly say that you had a grip on your cat's body language? 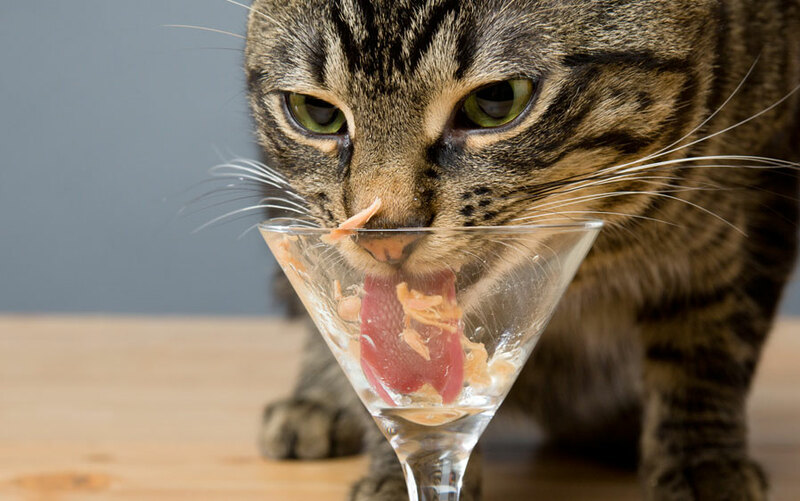 As a cat owner, it's your responsibility to make sure that your feline is receiving optimal nutrition.